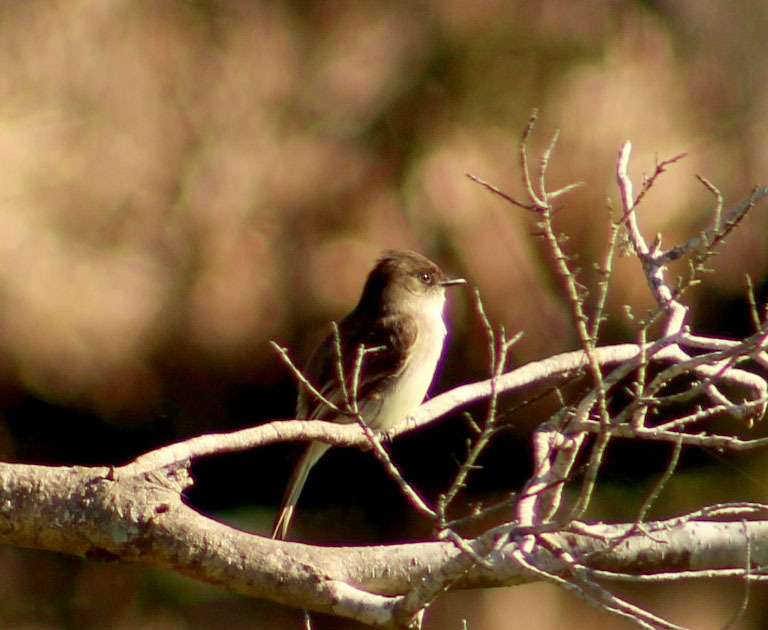 I'm guessing this is either an Eastern Wood Peewee or Eastern Phoebe - any ideas? Pretty sure the big guys with the big honking red bills are Caspian, are the smaller ones Forsters? Common Ground Dove? 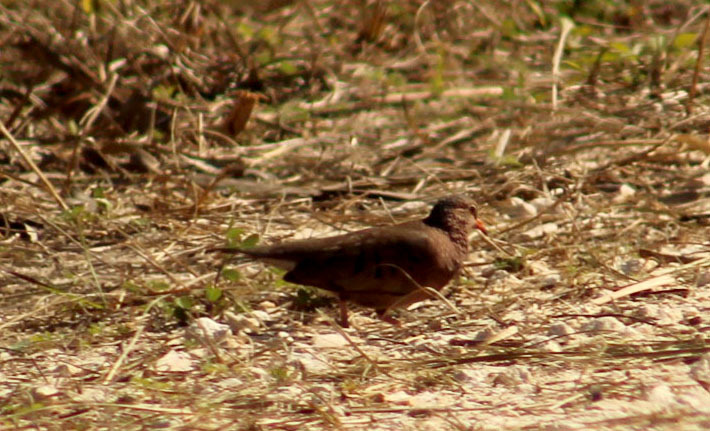 Not a great picture but the reddish bill seems indicative? I would say Eastern Phoebe do to the lower bill being dark. Not good with Terns but would say Fosters is good. Yes for Common ground dove. 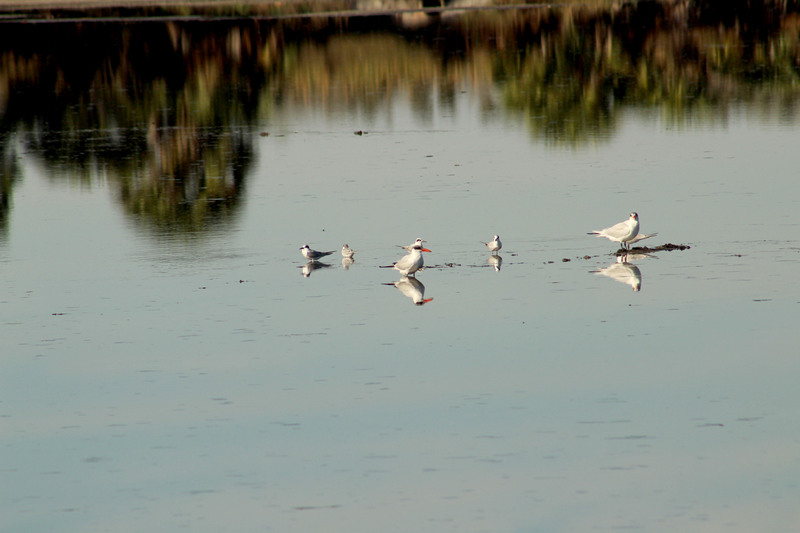 The terns are Forster’ s, the raccoon face, the tail projects well beyond wing tips, bill color is variable in age and breeding season. There are no Eastern Wood-Pewees in FL in winter. Field guides have that sort of information. Field guides have that sort of information. 1. Boy are there ever exceptions to such rules. Local Audubon leader recently told me he had a black-throated blue warbler on a CBC here in NW Arkansas one year. That shouldn't be here in winter(rare any time of year actually) And we've had a vermilion flycatcher or two in the last year or so right here in NW Arkansas. 2. Some field guides are wrong or just outdated. You'll find a lot of maps in field guides that don't line up with the data on eBird. 3. Not everyone visiting here has a field guide. 4. Not everyone that has a field guide has gotten good at using them. Eastern Phoebe seconded. sorry can't help with the rest.